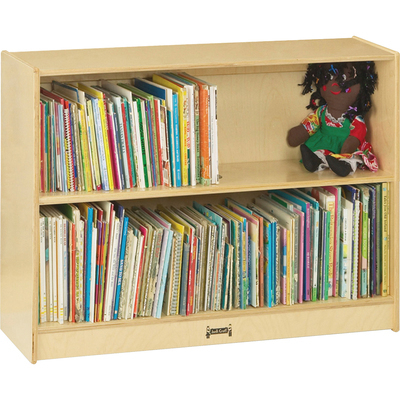 Bookcase Houses Hundreds Of Books And Features Adjustable Shelves To Customize Storage. Shelves Adjust In 1-1/4" Increments. For Added Stability, A Recommended Wall Fastener Is Included. Kickplates Prevent Toe And Finger Pinching. Small Objects Can'T Get Underneath. Bookcase Is Made Of Baltic Birch Plywood For Sturdy, Light-Duty Storage..
Bookcase Houses Hundreds Of Books And Features Adjustable Shelves To Customize Storage. Shelves Adjust In 1-1/4" Increments. For Added Stability, A Recommended Wall Fastener Is Included. Kickplates Prevent Toe And Finger Pinching. Small Objects Can'T Get Underneath. Bookcase Is Made Of Baltic Birch Plywood For Sturdy, Light-Duty Storage.